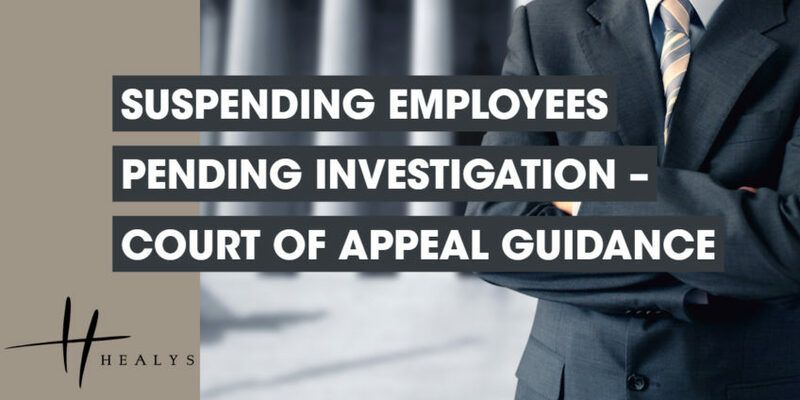 Suspending an employee pending investigation of alleged misconduct is a serious step that requires careful consideration. The Court of Appeal made that point in the case of a teacher who was accused of subjecting pupils to unacceptable force (The Mayor and Burgesses of the London Borough of Lambeth v Agoreyo). The woman, who had 15 years’ teaching experience, was a few weeks into her employment at a primary school in South West London, teaching children aged five or six, when she came under investigation in respect of three incidents in which she had removed pupils from her class. There was a dispute in respect of whether she had used unreasonable force in doing so and she was suspended by her local authority employer pending the outcome of the investigation. She resigned on the same day and subsequently launched a damages claim against the council. She alleged that her suspension breached the implied term of trust and confidence between employer and employee and amounted to a repudiatory breach of her contract. Her claim was initially rejected by a judge, but that decision was later reversed by the High Court. In its view, her suspension was a knee-jerk reaction that was not necessary in the circumstances and the council was therefore liable. In upholding the council’s challenge to the latter ruling, the Court of Appeal noted that it was obvious that the allegations were serious and needed to be investigated. Complaints against the teacher had been received from two of her colleagues and concerned three separate incidents, involving two different pupils. There is no test of necessity and the High Court had been wrong to introduce one. The only test in such circumstances is whether there was reasonable and proper cause to suspend the employee. Bearing in mind that the council had to safeguard the interests of very young children, it had reasonable and proper cause for suspending the teacher pending investigation. The judge’s decision was restored and the teacher’s claim dismissed.